If you are reading this, it probably means you are no stranger to the benefits of collagen! But for some of us in the community, it is important to know where the source comes from. We are going to do two things in this article: to compare pig and fish collagen, and to look at the list of the favourite Japanese products to see if the collagen originate from pork or fish. Collagen can come from a number of sources, for example fish, pigs, cows and chickens. Of course, you will find that most of the supplements in the market are either fish- or pig-based. Let’s look at both types before we start comparing them. Fish collagen (sometimes known as marine collagen) can be extracted from either the scales or the bones of fishes. However, the collagen extracted from the bones are less damaged than from the scales, which means that it is more effective for us when it is extracted from the bones. Some products in the market do have a fishy smell to it, but fish collagen is generally preferred over the pig counterpart because the body is able to absorb fish collagen more easily. Other than how effective our bodies absorb the two types of collagen, the amount of hydroxyproline is also different in both. Hydroxyproline is a characteristic amino acid, which studies in recent years have shown that hydroxyproline plays an important role in the creation of collagen. Pig collagen contains about 2 times more hydroxyproline than in fish collagen. Fish and pig collagens have different effects on the regeneration of your skin membrane. When females go past the age of 30, many will find their skin membrane do not regenerate as well. By absorbing pig collagen, it is able to protect the skin from drying, and effectively maintain the youthful skin. Well, what is pig collagen? It is collagen that is extracted mainly from the skins of pigs. Though it is said that the secret of the longevity of the Okinawan people comes from eating pigs, when in actual fact it is the composition of animo acid from pigs that is highly similar to humans, and is what eases the absorption of the collagen. Beef collagen used to be very popular too, but due to the Mad Cow disease in early 2000s, demand shifted towards the pig counterparts. However, since there is not enough pigs, this lead to using fish as the other source. Collagen coming from pigs are considered very valuable. But pig collagen has two demerits, one of which is the effectiveness of how it can be absorbed by the intestines. Collagen consumed is usually not absorbed until the digestive enzymes in the stomach breaks it down into amino acids, from which the intestine can then absorb. Fish collagen is seven times easier to break down compared to pig collagen, making it much easier to absorb. Along comes low molecular weight collagen to solve this. The low molecular weight collagen has already been broken down beforehand, which means that it can even skip being broken down by digestive enzymes, and be readily absorbed by the body at the stage of absorption. The other demerit is the smell of pigs could still remain. However, the ingenuity of collagen makers has been able to suppress the smell in their supplements. If the smells of the supplement matters a lot to you, you’d want to go for collagen made from the first extraction batch of pig collagen, as they have the least smell. For products that use fish collagen, sometimes you will see comments from users like “Collagen originating from fish is safe, while from pig it is not.”. However, how safe a product is has nothing to do with whether it’s from fish or pig. Stringent checks are conducted to ensure safety and quality, even when collagen is extracted from pigs. Another misconception is that one collagen dissolves better than the other. Experiments has been done before by users, and there is no sign of how difficult collagen powders dissolves, or if one dissolves better than the other. We shall now look at a few popular Japanese collagen products, take a look at their websites, and find out if they are of fish or pig origins. This is not a comparison or ranking in anyway, so the order the products introduced has no bearing on preference. So how do you know which collagen to pick and use? No way but to take the hard way of trying it out! Even the most popular collagens may not work for some people, which could be due to lifestyle, diet or the formulation just doesn’t work for them. DHC Collagen comes in tablet form, and will last you for 60 days. It is the choice for anyone who place cost as a priority. This fish-derived supplement is suitable if you want to keep your intake costs low in the long run. Note that while the recommended collagen amount for beauty upkeep is 5,000mg of collagen per day, DHC Collagen provides only about 2,050mg. 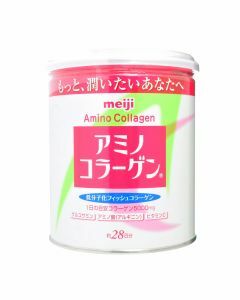 Here is the ever-popular Meiji Amino Collagen. 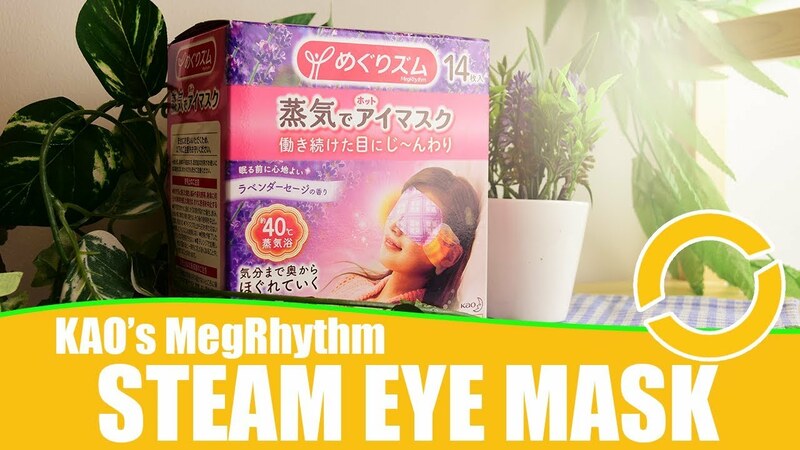 What makes this popular, is that the ingredients works in synergy with the low molecular fish collagen, maximising the effectiveness of the formulation to improve your overall skin condition and strength. These include Amino acid, glucosamine and vitamin C.
Two different cans: Meiji and Meiji Premium? What are the differences between the two cans? Both are about the same in formulation, except that the premium version has additional hyaluronic acid and Coenzyme Q10. Hyaluronic acid is a moisturising ingredient, which means it attracts and retains moisture, and will give your skin a youthful, bouncy look. By the way, both cans come with a 7g spoon. Each can will last you for about one month. There is a conflict on the internet to how Meiji collagen powder tastes. Some say it’s fishy, some say it’s plain. Fujikawa-sensei and I have tasted it, including mixing it with plain water, but we couldn’t detect any fishy taste. But our boss Mizuguchi-san drank it with milk, and it didn’t taste good. We’d suggest not mixing it with milk or milk-derived beverages. FANCL’s HTC Collagen comes in a variety, including drinks, powder sticks and tablets. For the powder sticks, one box will last you for 30 days (for 1 stick everyday). Reviews say that there is no taste or smell. FANCL combines Apple polyphenols into their collagen, which their labs have discovered that can protect the skin from damaging UV rays. This creates a double benefit of protection for your skin from premature aging, and of healthy skin support from the supplement. 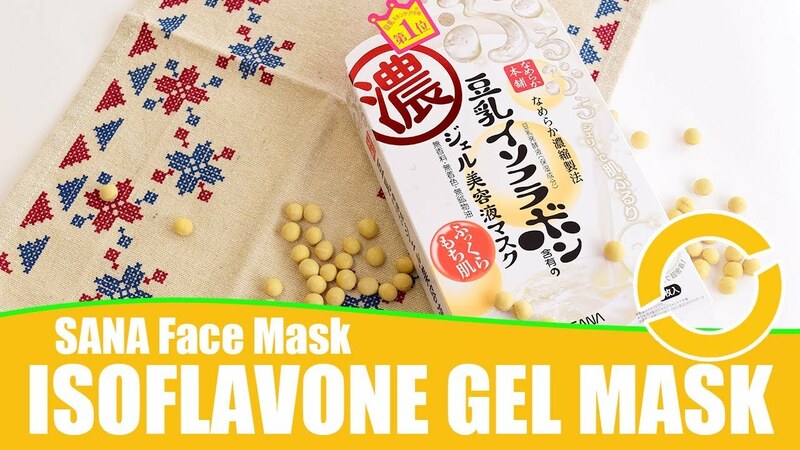 FINE Hyaluron & Collagen is also quite popular in Japan. This can also comes with a spoon, so you don’t have to worry about the serving size. FINE’s main attraction is its high content of Hyaluronic Acid, important for attracting and retaining moisture. Compared to its competitiors, it has about five times more HA component. 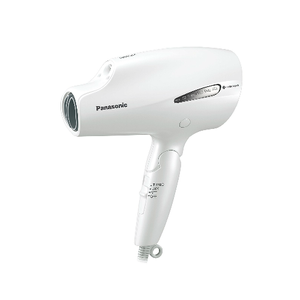 One of the recommendations, is to tackle dry skin resulting from aging, as our HA production decreases with age. One can is one month’s supply. Do take note of what drinks you decide to add this supplement into as it is formulated to have a taste of milk. Also, if you have an allergy with milk, you are going to have to choose an alternative. The ASAHI Perfect Asta Collagen has an exclusive component called the “Beauty Body Constitution Lactic Acid Bacteria”, which supposedly allows our bodies to absorb the collagen efficiently, while supporting the production of hyaluronic acid. Take note that this collagen is of pig origins, and of how long Japanese naming can get. This is a 28-day supply, and comes with a serving spoon. The taste is plain, so you can add this to any food or drinks. SUNTORY is quite unique. Not only having collagen originating from pigs, Suntory has their own PO・OG collagen mixed into the formula which originates from fish. The Milcolla has a milk taste, but without the distinctive smell to it. It comes in a box of 30 sticks, which you can easily carry around too. 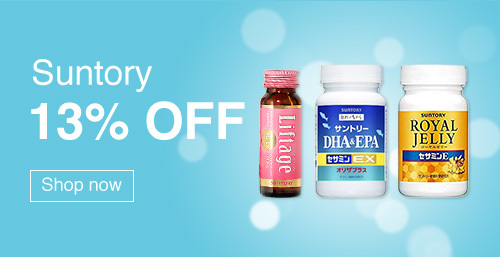 The ORIHIRO Placenta Collagen is similar to the ORIHIRO Low Molecular Hyaluronic Acid Collagen, in that each serving has 5,400mg, more than the other supplements introduced here. The suggested ways of consuming this include mixing with coffee, yogurts, and ice-cream! The reason behind this is because it has a vanilla flavor, and is stronger on the sweet side. Also note that while the collagen comes from fishes, the formulation includes pig placenta essence. The pack does not come with a spoon. Unlike the ORIHIRO Placenta Collagen, this has no ingredients that is derived from pork. Among the collagens, this has the most amount of collagen at 5,400mg per serving. So if the collagen amount is your thing, this is what I’d suggest. This Low Molecular HA Collagen also contains moisturising components of glucosamine and ceramide. Do note that the pack does not come with a spoon. One pack will last 30 days. 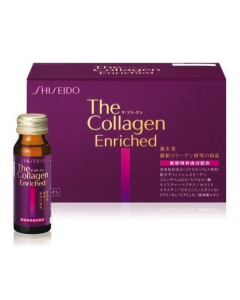 SHISEIDO’s The Collagen is made from its own special formulation that includes Lingonberries and Alma fruits. Lingonberries and Almas are known for their high levels of polyphenols, which gives collagen an anti-aging benefit. In fact, Alma has 30 times more polyphenols than red wine itself! The pack comes a 6g spoon, and will last you for 21 days. How was your journey in understanding more about some of the most popular collagen in Japan? Drop us a message or comment if there’s something you want to know more. Who knows, maybe there’d be a part 2! Till next week, see you! Living in the ancient city of Kyoto, been in Wonect for 3 years sharing the best Japanese products available! Japanese product Writer, Editor and Youtuber. 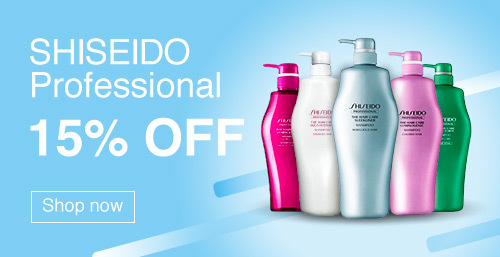 Hi guys….do you know if Shiseido aqulabel cream uses pig, or fish, collagen? What is the difference between the Asashi Perfect Collagen vs the Asashi Perfect Collagen Premium? Sorry …. forgot second question! 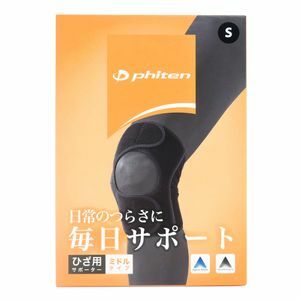 I have a lot of pain in back and knees. Which brand collagen is high in “type 2”collagen which is recommended for joints. Hi Leng, thank you for the questions! 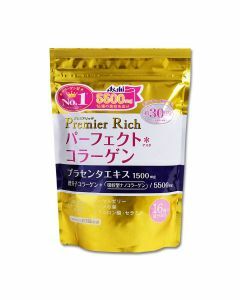 As you would already figured out the Asahi Perfect Asta Collagen Premium Rich (what a mouthful!) is the “upgraded version”, with additional ingredients such as placenta essence, ceramide, bird nest essence, and royal jelly. Both products still have low molecular collagen, hyaluronic acid, the ever-important Vitamin C, Co-enzyme Q10 etc. The Asahi Perfect Asta Collagen Premium Rich seems to be the better product, but don’t buy it just yet! Because you need to choose what is the most useful for you. For example, if you are already taking alot of other supplements that contain ceramide, you are probably going to have to ask, “Do I really want more?”On the other hand, if the collagen is the only supplement you are taking, then the Premium Rich is going to give a boost in your beauty routine. Also, the Perfect Asta Collagen is pig-based collagen, while the Premium Rich collagen is derived from both pig and fish. Hi! Do you know if the DHC supplements contain pig by product (lard or gelatin) to make the coating if the capsules? I just bought a lot of DHC pills of various types (collagen, rose hip oil and pueraria) without knowing how to read japanese but the store assistant said it’s vegetarian friendly. Please help to find out for me as I can’t take pig derived substance (i’m a muslim). I dont want it (or my money) to go to waste! Is it possible to provide us the list of products you have purchased? (if there’s no english title, you may take photos and send us the photos through the email r.ong@wonect.com). Very often, different products will have different formulation, even though they may be from the same brand. We’ll check each item’s ingredients. And are you the same lady who asked about Chocola BB on our youtube video? Hi Sam, we’ve not heard of Omono before, and would like to learn more. Do you have any more information that could help us figure where to start? Hello :). I wanted to ask if the gelatin in DHC Collagen is from a pork or from a fish? Thank you so much! Hi Elle! The one we have introduced in the article is fish-derived (according to the DHC’s website), but it’s only for this series! 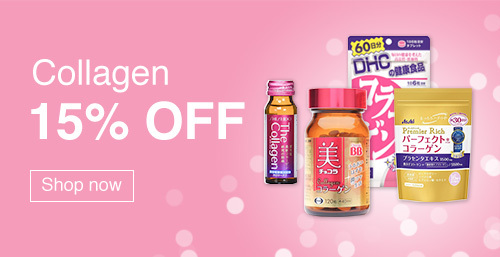 DHC has other collagen products that may use pork collagen instead. Hi Aya, most collagens can repair skin scars, even though these here are made for a different purpose. If you are looking for products to heal scars back to before, depending on the type of scars you may want to look for whitening products or suitable exfoliation routines on top of taking collagen. Beef collagen products are rare these days ever since the Mad Cow disease years back. These days, most are pig and fish. If beef collagen is what you are looking for, this sounds strange but cuisine with beef dishes may be the way to go! Hi. I know the dhc collagen supplement is from fish. But it contains gelatin as well which it’s source is not clear. I would like to know what is the source of this gelatin. Is it from pig, fish or other animals? Hi M.N, according to the manufacturer’s website, it just says gelatin. This means that is quite likely to come from pigs. Thank you for the great question. 2. In your intro (under PIG College) it says, “The low molecular weight collagen has already been broken down beforehand, which means that it can even skip being broken down by digestive enzymes, and be readily absorbed by the body at the stage of absorption.”But in the case of the LOW MOLE ORIHIRO –it doesn’t have any ingredient that’s derived from pig.? Can you further elaborate on this aspect? I am really thinking of buying any of the 2 Orihiro variants. Your answer will help me decide. Thanks! 2) If pig content is a concern, be sure to differentiate between the placenta and the non-placenta ones! Both uses fish collagen as their main collagen ingredient. However, the placenta version contain extract of pig placenta. So, you’re right, the LOW MOLE ORIHIRO is the one that doesn’t have pig ingredient (confirmed from their website too~). Thanks for the article. Do you know if Nano Japan Hyaluron Collagen contain beef or fish collagen please? I finally found the answer to my question! Thanks to this article. I was recommended to buy Orihiro Placenta Collagen but couldn’t find any article that says from which placenta it is derived from. Good thing I saw your article as I know now that a part of the ingredients is prohibited to be shipped to Kuwait (pig placenta essence). Thanks guys! Hi Mae, so glad this was helpful! Thanks for reading! Hi, thank you very much for the article. Do you know if Shiseido The Collagen drink contains any animal derived ingredients other than the fish collagen? Also, is there any of the collagen drink ingredients originally from alcoholic drinks? Because we are muslim also and we would like to know if the collagen drink is not prohibited for us. Thank you very much. I’m looking forward to hear from you guys. ? I’ve had a look at the ingredients and the only potentially problematic ingredient I can see is hyaluronic acid, which can be derived from animals. There is also erythritol, which is chemically an alcohol, but from my quick research it appears to be considered halal. Hi Alma, thank you for your question! There are a number of DHC collagens, so it’s hard to say all the differences. But looking at the two collagens in this article, the key difference is the purpose. Amino Collagen aims to improve skin health and condition, while DHC Collagen aims to offer affordable collagen supplements. You can tell from the difference in the amount of collagen present in both, DHC Collagen at half of what Amino Collagen has. We would go for DHC when we are not too concerned about skin health, or as an extra supplement when we are not taking enough collagen from other products. Hi, quick question for FANCL, what’s the difference between the powder and the tablets? Hi Candence, we’re linking the new FANCL collagen products here, because they renewed their collagen formula just a few weeks ago. You can find the tablets and powder under (2) and (3) respectively. The differences lie is the ingredients and flexibility. 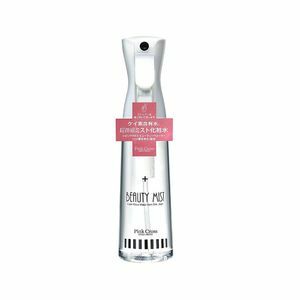 The powder is able to squeeze in more beauty ingredient content, and can be mixed with food and drinks too. I am 33years old, what collagen should I use: Asashi Perfect Collagen or Asashi Perfect Collagen Premium? Hi Ching, thank you for your question. Both collagens are valid options! To pick between them, we need to look at the differences, which are in the ingredients. The original Asahi Perfect Collagen features Hyaluronic acid, and thus a product that focuses on returning/replenishing moisture content in the skin. On the other hand, the Asashi Perfect Collagen Premium features placenta extract, which has multiple benefits especially for females users, including hormonal balancing and anti-oxidant benefits. (You can read more about placenta extract here). Looking at this, it could boil down to whether you want to focus on increasing your skin moisture, or maintaining healthy skin. Remember to choose accordingly to your own needs! By the way, there are not much between collagen content (5,300mg for Original vs 5,500mg for Premium). Any recommended kosher collagen drink?not allowed to intake pig,shellfish or any supporting ingredients like gelatin made up of this..thanks. We asked the manufacturers about some of their products, some believe them to be accurate! Of course, do note that collagens under the same brand can have different formulations, and thus different ingredients, so be sure to check the collagen supplement product that you are interested in particular. We are in the USA and looking for a very clean PIG collagen we can create our own line of products. I would LOVE to know what you think is the best/safest/cleanest collagen is in Japan, (or anywhere for that matter) the best product source and the company? THANK YOU for all your information-Your blog is wonderful! Sorry left out that we want ti for internal use first-Then to grow from there. Hi i am a 16 year old with acne problems. My face, neck, back and chest is constantly plagued with acne. While i have applied over the counter acne products –which have reduced the inflammation substantially, my skin is still filled with large pores and is producing excessive sebum with my dry skin. I wanted to try these collagen line of products to mainly reduce my acne scars and gave better overall skin. Are these line of products effective? I saw this afc hanamai collagen products. Thanks for your question! Collagen can help with pore size because collagen boosts skin firmness and elasticity, which can reduce the visible size of your pores. Since you are so young, though, your body is most likely producing all the collagen it needs on its own. Instead of drinking collagen, one thing I would suggest if you haven’t tried it is a topical vitamin C treatment. Vitamin C when applied topically can stimulate cell turnover and collagen production in the skin, which helps with scarring, and it also is an effective acne treatment. My personal recommendation is the Melano CC series because it’s really well formulated and very affordable, so you don’t have to be sparing–you can use the more concentrated serum as a spot treatment for scars or particularly inflamed areas, and/or use the lotion all over if you are dealing with larger areas like your back and chest. You also mentioned having excess sebum and dry skin. Often dry or dehydrated skin produces excess sebum in an attempt to protect the skin barrier. Often topical acne treatments can worsen this issue because they’re drying, which can lead to a vicious cycle. It may seem counter-intuitive, but I would really recommend boosting your moisturizing routine along with the acne treatments. Something like the HadaLabo hyaluronic acid lotion (I’m linking to the light version, but there are different formulations available) or the Naturie Jobs Tears gel are lightweight options that aren’t going to feel heavy on your skin. Hyaluronic acid is similar to collagen in that it is part of our skin’s natural buildup, so it’s easily absorbed and a very effective humectant. The Naturie gel is really lightweight, absorbs quickly, and the Jobs Tears extract can help with the size of pores too. One final recommendation which has been a lifesaver for me is a vitamin B supplement. Since you’re 16, the acne could have a hormonal element which supplementing vitamin B can help with. These DHC vitamin B supplements have worked wonders for me. They’re very cheap and basically the same ingredients as what are in the more expensive anti-acne supplements. 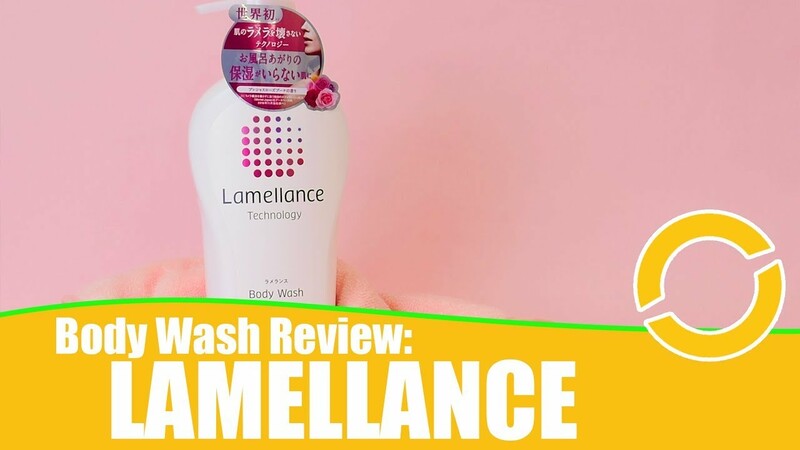 Next story Warning: Extremely Cute Japanese Cosmetics That You Definitely Want Once You See Them! Previous story Halal Ramen, Karaoke and Cosmetics!